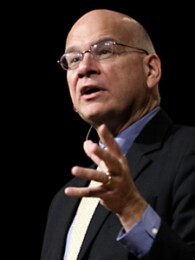 From the vantage point of pastoring in Manhattan for some twenty five years, Tim Keller has a distinctive perspective on bringing the Gospel to a diverse secular culture. He has written about this challenge in several places, most extensively in Center Church: Doing Balanced, Gospel-Centered Ministry in Your City. Two online articles hint at his larger vision regarding the big issues that face the Western church and suggests several things the church should be doing by way of preparation. “The Big Issues Facing the Western Church” is available here. “Preparing for the Big Issues Facing the Church” is available here.